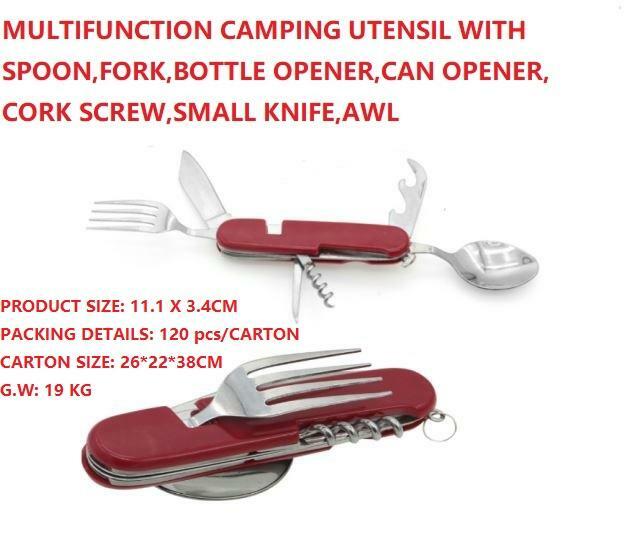 4-In-1 Camping Cutlery: Multi-function detachable tool includes fork, spoon, knife, bottle opener. Removable and foldable design: Removable and foldable human design, each part remains very nimble. Tools can be folded easily to stow away safely portable. Stainless steel construction: Sturdy, durable and portable, high quality, lightweight, sturdy, non-stick,rust free, and durable easy to clean stainless steel material, sleek handle to provide durability and functionality. 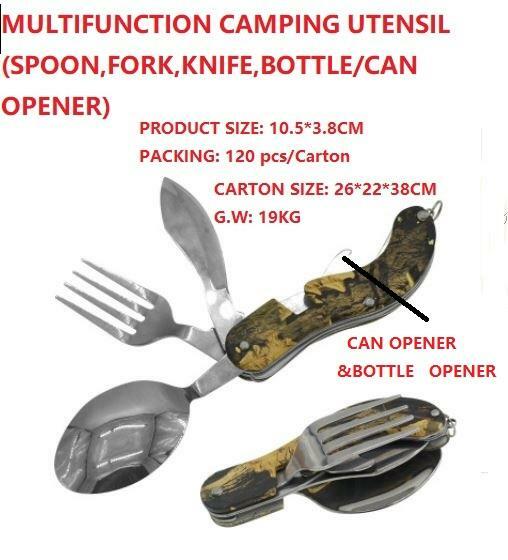 Multipurpose: pocket size, easy to carry .Suitable for outdoor Camping, Picnic,Travel,Hiking .With ultra sharp blade for long time use .Rust proof, stain proof and non-stick. Easy to Carry : Easy to use and clean,convenience. compact design that fits in your pocket. Great for outdoor camping, picnic, backpacking, hiking.